Dr Vertullo specialist Orthopaedic Knee Surgeon present on mensical injury and repair. Meniscal tears are very common injury to the knee joint. 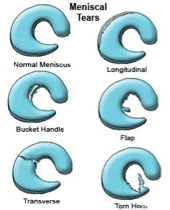 The meniscus are “C-Shaped” shock absorbers that sit between the ends of the femur and the tibia. The meniscus’ role is to spread the joint surface load evenly. There are two basic types of meniscal injuries - traumatic and degenerative. 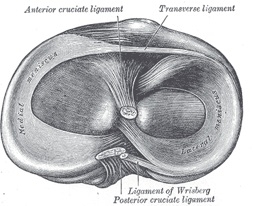 Traumatic meniscal tears usually occur in younger patients with associated ligament injuries, such as anterior cruciate ligament tears or a other ligament injury. 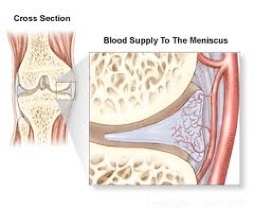 The outer 1/3rd of the meniscus has a blood supply. If the tear is confined to this location, then the tear can be sutured back together. About 80% of repaired meniscus will successfully heal together. Often some of the pain is due to co-existing osteoarthritis, bone bruising or ligament damage. Pain, swelling and stiffness can be due to both meniscal tears and osteoarthritis. It is more common for degenerative tears not to have a traumatic event to the joint. Most atraumatic degenerative tears do not require surgery. The Peripheral Third of the Medial Meniscus has a Blood Supply Allowing successful repair. Degenerative tears occur in isolation with the meniscus becoming soft and easily torn. Unstable meniscal tears cause pain, swelling, clicking and locking, usually they are shaved or repaired at arthroscopy. Shaving the meniscus is called a partial menisectomy. Preserving functioning meniscal tissue is important to protect the articular surfaces. Damage and loss of the meniscus results in increased joint surface load. Some tear patterns are worse than others with bigger meniscal tears causing more problems due to subsequent increased joint load.